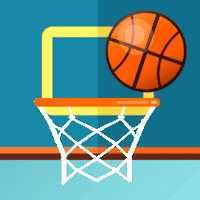 Flick to score in Basketball FRVR! This sports game challenges you to shoot like Kobe Bryant. Each consecutive basket is worth more points. If you miss one shot, your streak will end. Be careful, because the hoop will start to move away from you! Basketball FRVR is one of our selected Basketball Games.